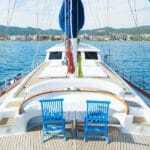 ﻿How Important is the Crew on a Gulet Charter Holiday? There are over 500 gulets in the charter market. Each one is different from the next, as are the crews. While some gulets will have the same crew for years, others change crews often, and even in the middle of a season. Either the crew member moves on to another yacht, is asked to leave or simply leaves for other reasons. 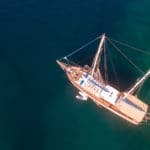 When you are searching for a gulet, other than its comfort, luxury, standards, facilities and services, the crew is one of the most important parts of your holidays. Without a good crew, a holiday can becomes quite disappointing. 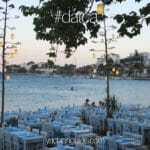 These yacht charter Turkey holidays average for one week and that whole period is spent with the crew on board. The crews are expected to do what each is designated to do on board. The satisfactory level of how well they do their job and adopt their roles, is judged by not only the captain, manager or owner who hire them, but also the agent and the client. 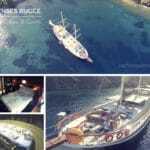 Many times, clients will return the following year to the same charter gulet, because of the crew, and because they were comfortable and happy with them from the previous season. The quality of the crew is one of the most essential parts of what makes a gulet reputable and desirable. Whether it is through word of mouth or online reviews or an agent’s recommendation, a gulet charter is only as successful as the quality of services as well as the level of standards the yacht possesses. The crew does not have to have a long list of certificates to be great. Local crews from villages or small towns can be wonderful additions to a blue cruise vacation. It starts with the right attitude.